So ever since BB creams came onto the US market a few years ago, I’ve tried several dozen: Dr. Jart, Boscia, Tarte, Urban Decay, Stila, to name a few… but none have come even close to being as great as this BB cream! Missha has sold millions of their BB creams, and I completely understand the hype. 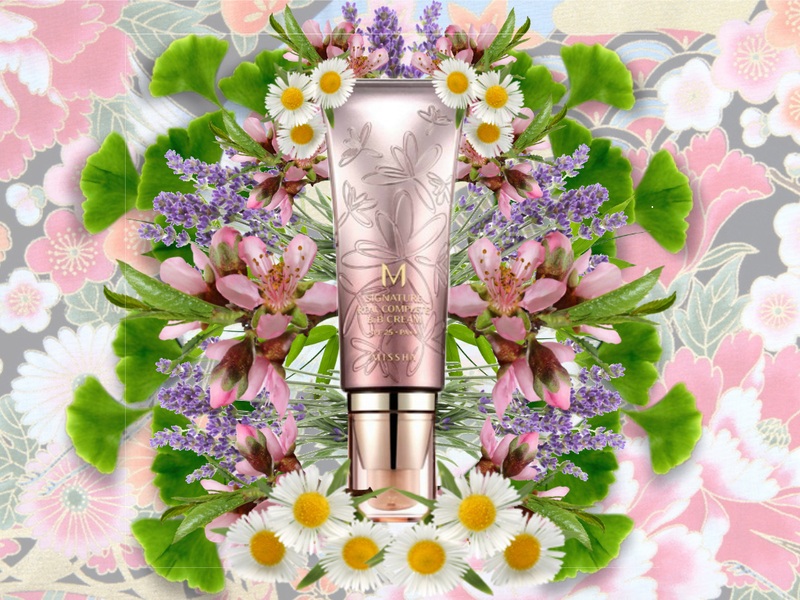 Missha’s BB creams apply well, cover well, leave the skin looking natural, are long-lasting, with really great ingredients. Because face it, the only reason why you want to go for a BB cream vs. a foundation is because of the added skin-friendly ingredients, right? So why not try to go for something that is truly top notch, like this one? Ok, this has got to be the longest ingredient list I’ve ever seen. It’s pretty crazy. And even with this many, there are so few acne-triggering or irritating ingredients in this BB cream. The only culprit I see is Stearic Acid, which rates a 2 as an acne-trigger, but that’s pretty far down the list so I’m not worried about it. Seriously, I think Missha deserves a standing ovation for creating a makeup that’s respectful of sensitive skin! Ginkgo Biloba Leaf Extract: which is the second ingredient in this BB cream, is a potent antioxidant, antibacterial and anti fungal. Research has shown that this extract significantly improves blood flow, increases moisture in the skin, and it can also help protect the skin from redness and inflammation. Amino Acids (Lysine, Histidine, Arginine, Aspartic Acid, Threonine, Serine, Glutamic Acid, Proline, Glycine, Alanine, Valine, Methionine, Isoleucine, Leucine, Tyrosine, Phenylalanine, Cysteine): Amino acids supply nutrients to nourish the skin, strengthening connective tissue and keeps the skin smooth and elastic, the nails firm and the hair strong. Ceramide 3: natural components of human skin. There are different ceramide types and six are commonly found in skin. All four layers of the epidermis contain ceramides, and they play an important role by creating a barrier which reduces infection and helps to retain the skin’s moisture. Increase in the amount of ceramides may result in less dry skin or wrinkles. Really, I could go on and on about all the great things with Missha’s formulation for this BB cream, but I want to move on with the review. #13, #21, #23, #27, #31. Unfortunately, Missha does not provide all of these colors in their M Signature Real Complete BB Cream. According to their US website, the Signature Real Complete BB Cream come in shades #13, #21, #23, and #27 only. Hopefully this photo will give you a better idea of the different shades available in Missha’s BB creams. My skin seems to be right in the middle of shade #21 and shade #23. I ultimately bought #21 for several reasons: my skin gets lighter in the winter time, this color perfectly matches the lightest parts of my face and neck, and I like being pale! After spreading the BB cream on my face, I use a VERY light dusting of bronzer on my forehead and jawline to give my skin a bit more dimension. With the TINY bit of bronzer added, the BB cream ends up looking just like a perfect match for my skintone, and blends perfectly with my neck and chest! Missha’s Signature BB cream has the perfect consistency. As long as you don’t put too much on your skin, it spreads easily with just your fingers. I use less than a pump for my entire face, and it covers the blemishes and blends in perfectly without looking like a mask! I used a tiny little bit on my wrist, but you can see how it blends in well, matching my skintone and leaving a nice finish. My skin looks slightly dewy afterwards, but not oily. In fact, if you use more than I do, I’m sure you can achieve a nice matte finish. It does a good job of hiding my hyperpigmentation from my healing acne marks, but on the worst ones I do need to add a bit of concealer on top of it. It does a good job of covering my enlarged pores, although it’s not perfect. (Urban Decay’s Naked Skin Foundation covered up my pores the best, but unfortunately the colors don’t match my skin and I’m not impressed with their ingredients.) But after dusting a bit of finishing powder on top of this BB cream, my pores look almost nonexistent! 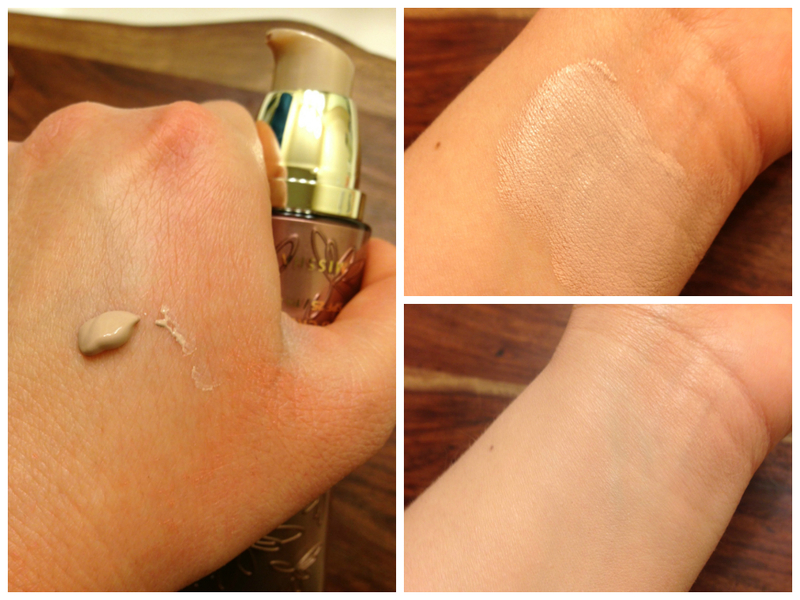 As an added bonus, this BB cream has real lasting power! Even after using it all day, it continues to look great on my skin. I’m not sure how it would last for people with super oily skin, but I’m happy with it! Great ingredient list and amazing quality and quantity of star ingredients! Plus, there are almost NO acne-triggering or irritating ingredients. I love that it comes in several different colors, works well with my skintone, applies easily and leaves a beautiful finish that lasts all day! Seriously, I can understand why Missha has sold 30 million+ of their BB creams. I’m a huge fan now! Hands down, this is the best foundation/BB cream I’ve ever used, and I’m a very picky customer with insanely high standards. Pros: GREAT ingredient list, spreads easily and covers beautifully. Cons: I can’t really think of anything, except if I put too much on my skin it starts to look a little too much like a mask. Just an FYI sodium chloride is comedogenic and is listed closer to the top of the ingredient list on this product, but yeah asides from that I was pretty amazed at how good the ingredients seem for sensitive,acne prone skin. I’m thinking about trying either this BB cream out or the Naked Skin foundation next but I’m unsure as which one to pick :/. Do you think there’s any way you could do a quick comparison on the two? Like which one looks the most natural, which one has the best coverage, shine control, lasting power etc.? That would be super helpful for me :3. Thanks for the comment! I’ll do some more research on sodium chloride. Unfortunately it’s really hard to get any sort of product that doesn’t have at least some comedogenic ingredients in it. In my reviews, I focus on the big culprits. And about Naked Skin foundation… I loved the coverage (it covered my pores and acne scars beautifully), the shine control and lasting power, but unfortunately I couldn’t find a color to match my skin! The #2 was way too pink, and the #3 was way too dark. Also, I tend to go for BB creams because they have more skin care ingredients in it. But for a pure foundation, I loved Naked Skin! Just wish it came in the right color for me. I won’t be doing a full review on Naked Skin because I want to focus my blog on skin care, not makeup. Good luck looking for the perfect foundation!